It often becomes much hard to get rid of excess belly fat and skin using the traditional weight loss and fat melting methods. That’s when someone should consider tummy tuck or abdominoplasty. To remove the excess fat and extra skin, some people undergo tummy tuck in Dubai. Here is some discussion about results and post-op care. Please continue reading to learn more about the results and recovery period. Abdominoplasty, also known as tummy tuck, is a surgical treatment that is performed on an outpatient basis in a clinic or office. To avoid discomfort and pain, plastic surgeons use local or general anesthesia. It is often combined with liposuction to get ultimate results. In a typical surgery to contour the belly area, the plastic surgeons make incisions and cut the extra skin, tissues, and removes excess fat. As a result, the abdomen area becomes proportional to the body. During this procedure, the plastic surgeon separates the skin from muscles to tighten the skin. The access skin is also removed to give the midsection a proper shape. If a woman wants to become pregnant in near future, she should delay this surgery. The Euromed Clinic Center Dubai offers the latest tummy tuck in Dubai. You will get natural-looking and long-lasting results if you choose us. Our plastic surgeon will guide about the aftercare. The stubborn stomach area fat may not respond to exercise and diet and a surgical procedure might be needed to get the right shape. No matter what made your abdomen grow bigger, the tummy tuck can deliver a balanced belly area. The procedure is ideal for those who have unwanted fat as well as excess skin in the midsection. It is hard to call the results as permanent because the future of the body depends on the choices of the patient. The surgery can make adjustments as per current condition of the body. If the patient adopts healthy ways of living and eats healthy food, the results will last forever. If the patient does not live and eat healthily, the body may become poor-shaped again. The patient will need a person to drive home carefully and assist during initial days. After the surgery, the patient may feel some pain in the treatment site. The patient will have to wear a compression garment for the first few weeks. Though indulging in strenuous activities is strictly prohibited, the patient should walk around regularly. Most of the patients can resume light activities after two weeks. It is common to face some difficulty in standing up during the initial days. It is important not to stretch or put stress on the skin. As fluids need to come out of the body, the doctor will leave one or two drains in the abdomen to allow unwanted fluids to easily leave the body. The patient will have to follow some instructions regarding the drains. These drains will be removed after five to ten days. The plastic surgeon will ask the patient to follow many other instructions. The patient cannot shower unless the drains have been removed. The patient may have Steri-Strips on the incision and they should not be removed during shower. What Tummy Tuck in Dubai is Like? The abdominoplasty procedure does not change whether you take it in Dubai or somewhere else. You can trust our tummy tuck in Dubai because we have been helping people with their contouring goals. If you choose us, you can pay the price in instalments. Do you want to learn more about tummy tuck in Dubai? Book an appointment and speak to an expert. If you are interested in having abdominoplasty or tummy tuck in Dubai, you may have more questions. 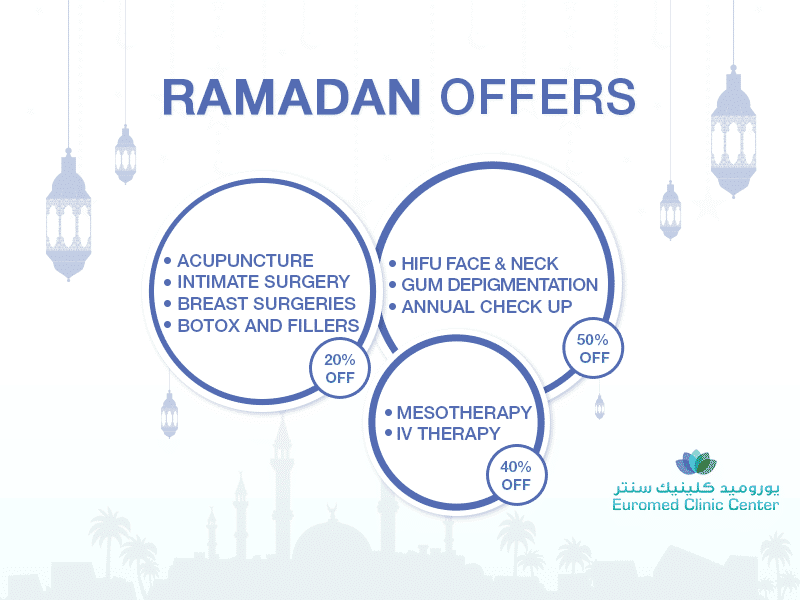 The Euromed Clinic Center Dubai invite you for a consultation session where you will get to know more about this wonderful procedure. Speak to one of our plastic surgeons today; call us or fill the online form now to book an appointment.